At Peacock Window & Door Service we are committed to proving you with a satisfying window & door experience. Our business philosophy is simple: “...offer quality products and services at competitive prices and provide quality workmanship". 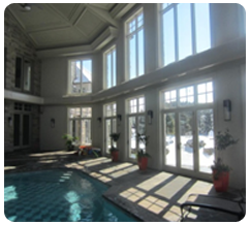 Whether you need a new window or door, a piece of glass replaced or a retractable screen installed, you can trust that Peacock Window & Door Service will provide courteous professional service and get the job done right. We offer a “no pressure” sales approach along with a free no obligation quote service so you do not have to feel pressured into making a decision on the spot.